We have shared this story before but now wish to share it again because it is a good one about courage. Courage is at the center of the word “encouragement.” A courageous person does not lack fear, but moves ahead despite its existence. Within out HoPE Learning Centers, educators often create theme months that challenge the children to dig deep inside of themselves to become better citizens. It is our hope that they will develop thoughtfulness, contemplation, compassion and courage to deal with challenges that arise in everyday life. Against all odds, threats and consequences, Vaibhavi exemplified courage by encouraging her aunt and others. 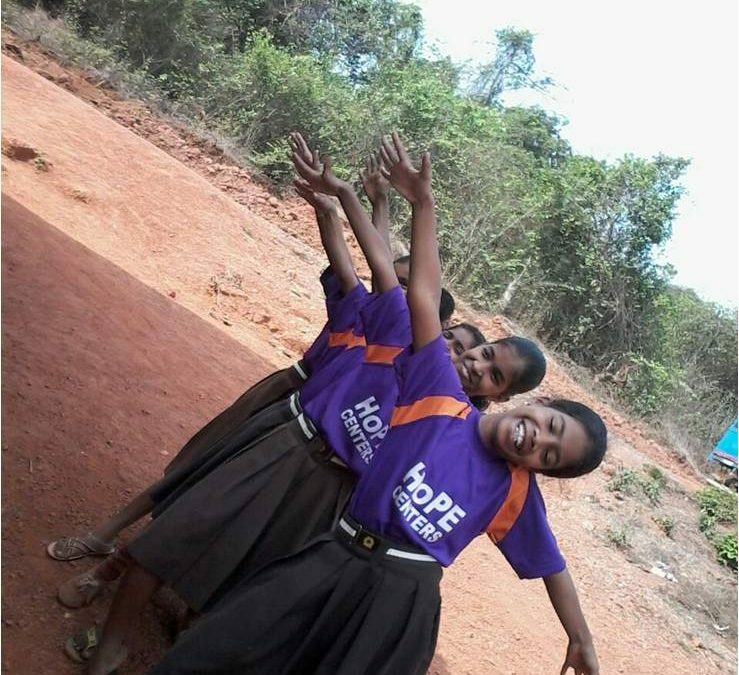 It doesn’t take much to encourage a special child, like Vaibhavi. Right now, a monthly contribution of only $10 covers all expenses for one child and a monthly gift of $350 helps 40 children.